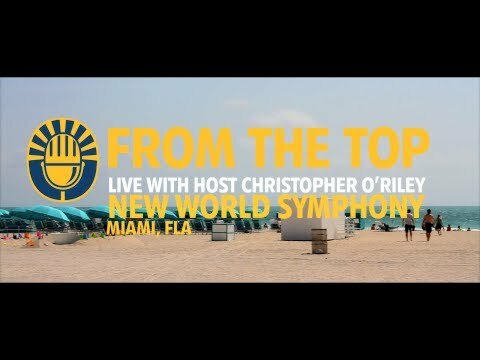 Show 287 comes to you from New World Center in beautiful Miami Beach, Florida. Among the featured performers, you’ll meet a 13-year-old violinist who’s studying with a New World Symphony fellow, a 16-year-old violist who is an outspoken champion of the viola, and a 17-year-old soprano who is taught by her Grammy Award-winning mom. Also, you’ll hear a movement of the Brahms Piano Quintet performed by current New World Symphony fellows who just happen to be alumni of our show! In this week's photo gallery, check out photos of Virginia Mims with her mother, opera singer Marilyn Mims.